A motion sensor light uses a sensor to pick up radiant heat coming from an object. When the motion detector detects something that generates a lot of heat, it sends a signal to the light hooked up to it, turning the light on. After a power outage, you may experience strange behavior from the motion sensor, such as extreme sensitivity or no sensitivity at all. Resetting the light may be necessary when odd lighting behavior occurs. Motion sensor lights may need resetting if they turn off and on randomly. Adjust the bulbs of the motion detector by moving the light to the area you wish to illuminate. Place your hand on the bulb and turn by hand. 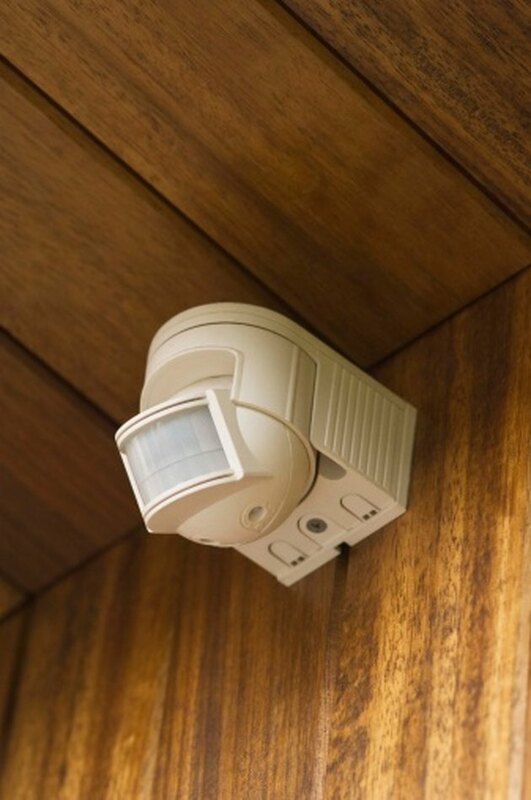 Adjust the motion detector by moving it to the area in which you wish it to detect movement. Set the sensor to the test position by moving the switch on the base, or front, of the detector to the "Test" setting. Move in front of the detector to test its sensitivity to movement. Adjust the sensitivity setting from high to low, depending on your preference, by turning the sensitivity dial on the unit to the desired position. Move the switch at the base of the motion detector to the "Operation" mode setting once resetting is complete.